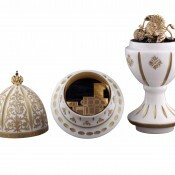 To celebrate the 400th Anniversary of the Romanov Dynasty and the association of St Petersburg Collection, creations by Theo Fabergé, with the city of St Petersburg, Philip Birkenstein, Chairman of the St Petersburg Collection, is delighted to present the citizens of St Petersburg and the St Petersburg Parliament with a very special creation, THE MARIINSKY ROMANOV EGG. The Egg created in crystal, gold and silver is a celebration of the interior decoration of the Mariinsky Palace, all white and gold. The top of the Egg takes its design from the dome of the Rotunda of the Palace. 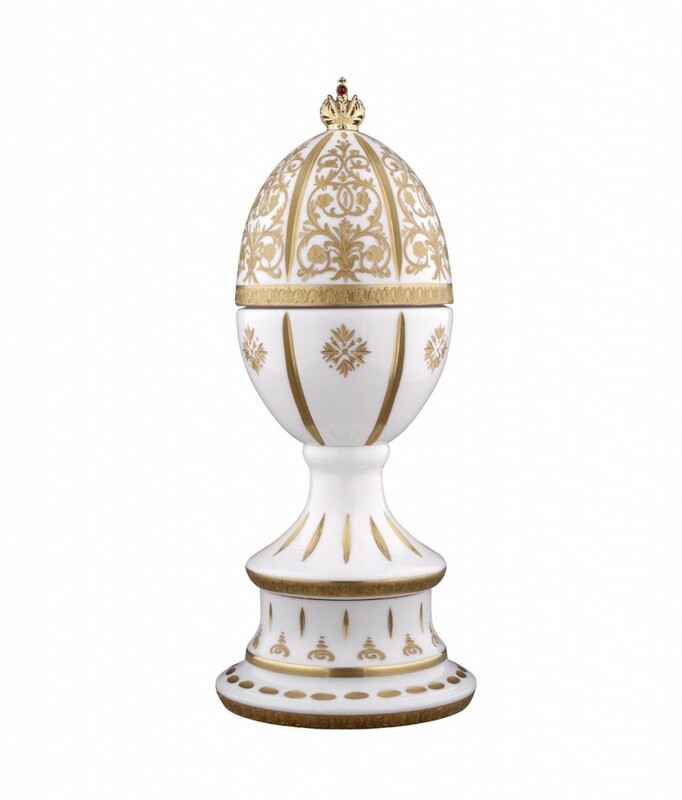 The Egg is surmounted with the Romanov Crown, set with a cabochon ruby. A reminder of the 18 Romanov Tsars of Russia. This design uniquely has two surprise compartments. On opening the Egg, the Romanov Griffin with sword and shield in hand, eyes set with sparkling sapphires. 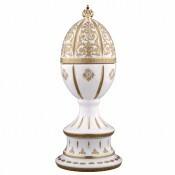 Alongside the griffin, Theo Fabergé’s unique British hallmark. 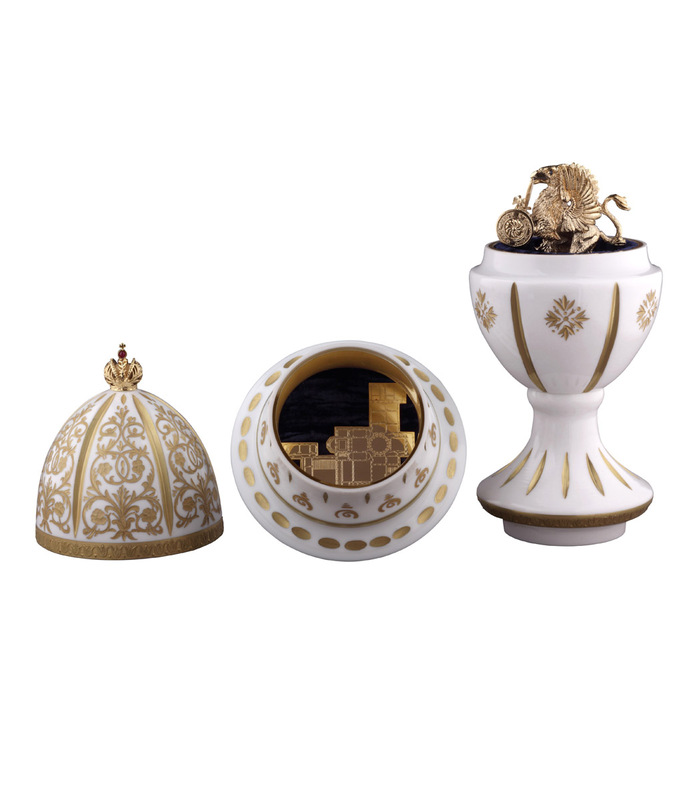 On lifting the Egg from the base, a further surprise, the architectural footprint of the Mariinsky Palace in 24 carat gold and sterling silver. 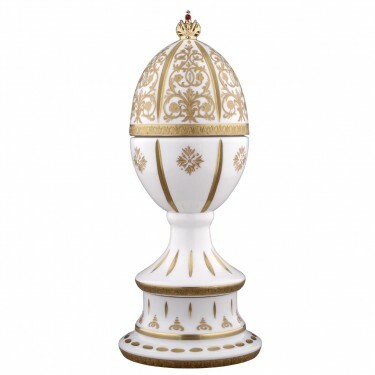 This Mariinsky Romanov Egg, to celebrate the quadricentenary of the Romanov’s, is a gift from Philip Birkenstein to the Mariinsky Palace Legislative. All visitors to this beautiful Palace, can see the history of not only the Romanov’s but also of Theo Fabergé, grandson of Carl Fabergé, jeweller to the Tsars of Russia.